Whether you are a professional journalist or simply interested in our latest news, welcome to the Royal College of Organists' media centre. The latest press releases from the College can be found below (for older releases, see our news archive). For media enquiries relating to these items, please contact in the first instance Head of Marketing Marc Sanderson on marc.sanderson@rco.org.uk or 01789 739247. In addition you will find plenty of updates, information and a wider picture of the College's works elsewhere around this website, especially in our online magazine StopPress. StopPress can be found within our iRCO virtual learning environment. iRCO is freely available to non members, with guest registration only taking a moment. Explore iRCO. 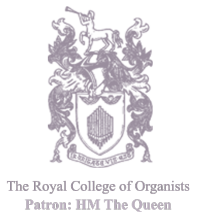 OrganFest 2019 will be hosted by Cardiff and Llandaff from 6 to 8 September. The Royal College of Organists has presented Diplomas and Certificates to 55 members of the College, and awarded the RCO Medal to two distinguished organists. It is with great sadness that the College has learned of the death of Dr Peter Hurford. The Royal College of Organists has announced the results of its Winter 2019 examination session. The Royal College of Organists is to recognise the achievements of two distinguished musicians by awarding them its highest honour, the RCO Medal.